Cornerback will miss first four games of season. FOXBOROUGH, Mass. (AP) — The addition of cornerbacks Darrelle Revis and Brandon Browner gives the New England Patriots’ mediocre secondary an improved look. After allowing the 15th most yards passing in the NFL — and 400 yards to Peyton Manning in a 26-16 loss in the AFC championship game last season — the Patriots moved with uncharacteristic speed to add outstanding veteran free agents. The team announced on Saturday the signing of Browner, one day after the suspended former Seattle Seahawks player said on his Twitter account that he has agreed to a contract with the Patriots. The Patriots have not announced the signing of Revis, but John Geiger, his business manager, said on Twitter on Thursday that the three-time All-Pro had agreed to terms with the team. Neither the team nor the players released details of the deals, although Browner’s reportedly was worth $17 million over three years and Revis’ reportedly was worth $12 million for one year. Two of last year’s starters in the secondary are gone. Cornerback Aqib Talib, a big, talented defender, left for the Denver Broncos, while safety Steve Gregory was released. At 6-feet-4 and 220 pounds, Browner has the size and physical presence the Patriots have lacked in their safeties and could be tried there, especially with starter Alfonzo Dennard returning at cornerback and Kyle Arrington and Logan Ryan providing depth at that spot. Defensive captain Devin McCourty will be back at safety with Duron Harmon, a third-round draft choice out of Rutgers, who started three games as a rookie last year. However they use Browner, the Patriots will have to wait for him to contribute. He was suspended in December for violating the league’s substance abuse policy and must miss the first four games of the 2014 regular season. He will be allowed to attend training camp and play in exhibition games. He also was suspended four games in 2012 for violating the policy. Browner, 29, had 19 tackles and one interception before he was injured in Week 10 last season. He missed the Super Bowl, which the Seahawks won 43-8 over the Broncos. First word of his signing came from Browner himself. New England has won the last five AFC East titles and 10 of the last 11. It won three Super Bowls in four seasons before losing the only two it’s played in during the past nine seasons. 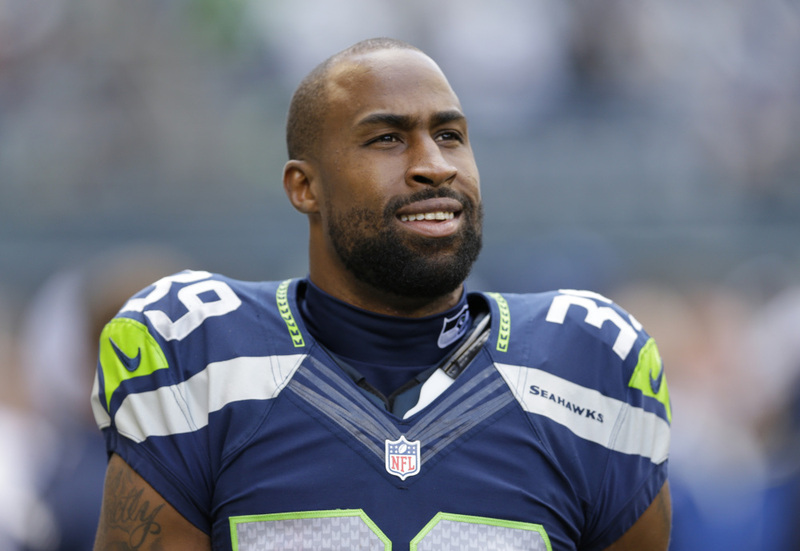 Browner spent the past three seasons with Seattle after playing the previous four with Calgary of the CFL. He started all 36 games he played for the Seahawks and was selected for the Pro Bowl in his first season with them when he had 23 passes defensed and six interceptions. But in the past two seasons he totaled 17 passes defensed and four interceptions. Revis started all 16 games last season for Tampa Bay after recovering from a torn anterior cruciate ligament in his left knee and receiving a $96 million, six-year contract. He played in just two games for the New York Jets in 2012 after starting 77 of their 80 regular-season games in his first five seasons. He made the Pro Bowl last season when he had two interceptions, a sack and two forced fumbles.